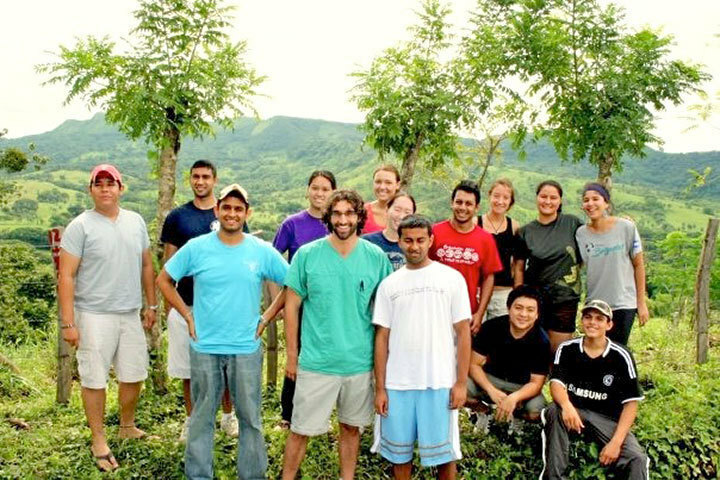 This past August, 11 Carnegie Mellon students traveled to Panama for a week to participate in a medical brigade. A medical brigade consists of a team of student and medical professional volunteers organized into a mobile medical unit, setting up temporary day clinics to diagnose and treat patients for free. We were joined by one student from Albion College, two students from the University of North Carolina, and many nurse practitioners, registered nurses, and nursing students from Samuel Merritt University in California. 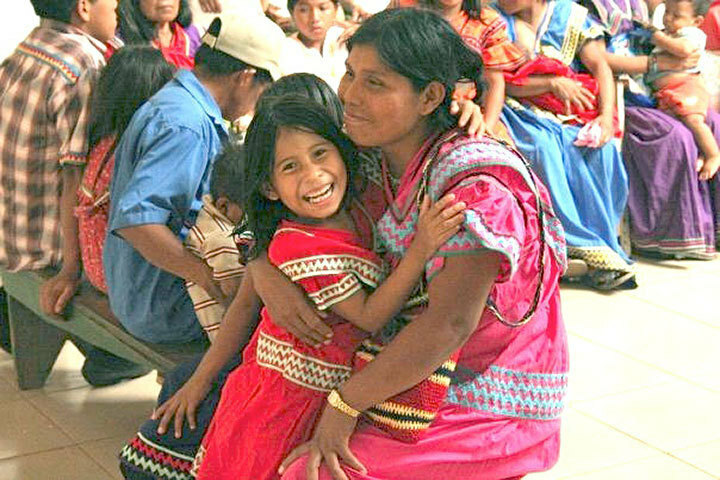 For three days, we visited the two communities of Chriqui Viejo and Soloy. While shadowing a nurse practitioner for the day, I saw one family that I will never forget. The family consisted of a mother who was eight months pregnant, her two sons, and a grandmother. They had walked for nearly an hour and a half to visit our temporary day clinic. The two children and the mother had all of the typical issues plaguing the community — severe dehydration, vitamin deficiencies, parasites, and fungal infections. However, it was the grandmother who captured my attention. She was nearly 80 years old, and she had come to the clinic to watch the two boys while her daughter was given a checkup. Although she seemed remarkably healthy for an 80-year-old woman, we realized that she had severe tachycardia — a condition in which a person’s heart rate exceeds the normal range for a resting heart rate. We discovered that the grandmother usually goes for an entire day without drinking water or eating. Since food and water are so scarce for her family, she often gave up her share for her pregnant daughter and grandchildren. The nurse and I then attempted to explain to her the importance of eating and drinking at least seven glasses of water a day, especially in such a hot region. However, it was not this learning experience that made me remember them; instead, it was the pure joy and gratitude the grandmother and her family felt toward us that was memorable. For the rest of the day, every time the grandmother saw me, she would grab my hand and thank me profusely. This experience showed me how just 20 minutes of providing care to a family who almost never gets the chance to see a medical professional can mean the world to them. While on the brigade, we encountered many truly amazing and memorable Panamanians whose stories were uplifting, to say the least. As a non-native Spanish speaker, I worried about my speaking abilities upon arrival in Panama. I had taken seven years of Spanish and studied abroad during the summer for seven weeks in Madrid, Spain after my first year at Carnegie Mellon; however, due to the fact that we would be working with Spanish speakers who had no English education — unlike many Spaniards in Madrid — in addition to some Panamanians who knew only their own indigenous language, I knew I would face the challenge of a language barrier. But after a week of complete immersion, I felt as if I had gained all of my speaking abilities (and confidence) back. On the third day of our brigade, I had a chance to shadow a doctor. Toward the latter part of the day, one of the providers pulled me aside; she needed help translating. After working through two patients with her, she told me to go ahead and just try my own patient. And so, with the provider’s supervision, I took a history of my own patient, explaining to the provider all of the patient’s health conditions and lifestyle, diagnosed the patient, and produced some recommendations for medicine and dosage. I then saw three more patients on my own. Although we were working in rather uncomfortable conditions — a lack of proper lighting or air conditioning leaving us drenched in our own sweat — I had never felt happier in my life. Being able to communicate with the patients, I established a comfortable relationship with them. I was able to empathize with them, which made me more determined to provide the best care that I possibly could. With the provider double-checking my every decision, I made recommendations for each patient, considering family history and environmental factors including home life and typical working conditions. The best part of the whole experience was walking the patient over to the pharmacy to pick up the medicine that I recommended — the gratitude I saw in each patient’s face was indescribable. Ultimately, our brigade provided free medical care to nearly 700 patients in only three days. Our Carnegie Mellon brigade was able to raise and deliver over $60,000 worth of medicine to Panama. The medicine we provided helped patients with a wide range of illnesses, spanning from vitamin deficiencies to heart murmurs. The brigade experience was truly one of a kind, and we all look forward to our next brigade to Panama this coming summer.